Media Release: Canada's most magnificent old-growth forest located on Vancouver Island? The Mossome Grove stands on Crown lands in the operating area of BC Timber Sales, with a portion on a Woodlot Licence of the Pacheedaht band and the rest under the management authority of BC Timber Sales. BC Timber Sales is the notorious BC government logging agency which has come under fire across the province for auctioning off old-growth forests to be clearcut in such places as the Nahmint Valley and Schmidt Creek on Vancouver Island, as well as in Manning Provincial Park’s “donut hole”. To ensure the protection of all ecosystem types, federal and provincial “Endangered Ecosystems Acts” are also needed to establish science-based protection and recovery targets for all ecosystems across Canada, including rare plant communities such as old-growth Sitka spruce and bigleaf maple groves like Mossome Grove. In the interim, the federal government has committed to protecting 17% of Canada’s land and freshwater ecosystems by 2020 and must greatly step up its prioritization and activity to achieve this target (currently Canada is at 10.6% protection). In particular, most of the provinces, including British Columbia, must still commit to meeting the 17% target, and conservation groups will be lobbying the province to adopt this target shortly. The Ancient Forest Alliance and Endangered Ecosysystems Alliance are calling on the BC government to implement a comprehensive, science-based plan to protect all of BC’s remaining endangered old-growth forests while also ensuring a sustainable, value-added, second-growth forest industry. 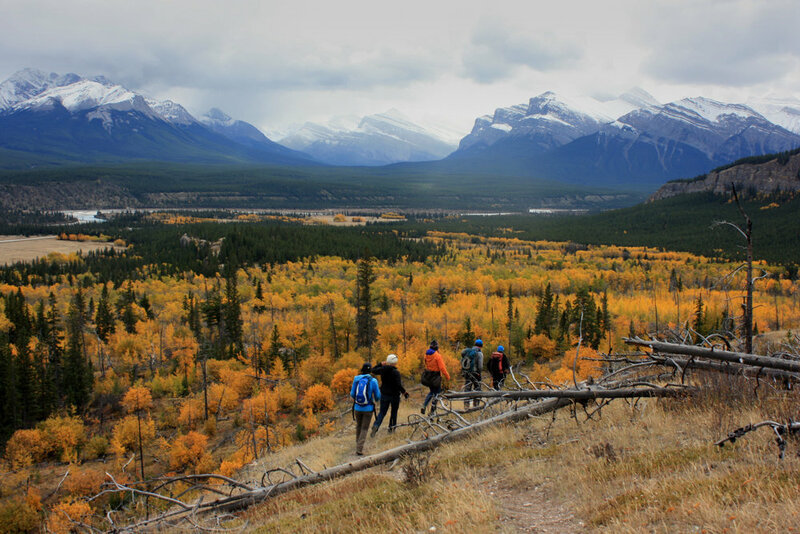 The Endangered Ecosystems Alliance (EEA) is a new national conservation organization working for the science-based protection of all native ecosystems and to increase “ecosystem literacy” across Canada. The organization was founded in September of 2018 by Ken Wu, formerly the executive director and co-founder of the Ancient Forest Alliance (2010 to 2018) and the executive director and campaign director of the Wilderness Committee in Victoria, BC (1999 to 2010). 1. To ensure the comprehensive protection of all native ecosystem types in Canada based on science, on a scale sufficient to ensure their long-term ecological integrity. 2. To vastly scale-up “ecosystem literacy”, that is, the public’s insight, inspiration and connection to the ecosystems where they live and those across the country. 3. To support and foster key facets of Canada’s economy, politics, and cultures that support increased ecosystem protection. Canada has some of the greatest diversity of ecosystems on Earth – from lush temperate rainforests to semi-arid deserts and grasslands, from rich southern deciduous forests to the far northern Arctic tundra, from millions of freshwater lakes and rivers to diverse oceanic marine environments. All of these ecosystems require greater protection to sustain their ecological integrity as industrial development proceeds throughout the country, particularly in light of climate change. The Canadian government has announced a protection target of 17% of Canada’s terrestrial landscapes and freshwater systems by 2020 as part of the United Nations’ Convention on Biological Diversity’s biodiversity targets established in Aichi, Japan in 2010. Currently, about 10.6% of Canada’s land area has been protected. The 17% commitment thus represents the largest potential expansion of ecosystem protection in Canadian history – but with just 1 year left to go to meet this target, it will require an unprecedented expansion of public awareness and mobilization involving key sectors of society. Otherwise, it will simply be another missed “aspirational target” that came and went, largely announced for its original PR-value, similar to many climate change targets. In particular, provincial governments which control most land use policies in Canada need to commit to the target and develop ambitious plans to represent all native ecosystems to meet those targets, including the biologically richer southern ecosystems where the greatest land use conflicts tend to be, rather than locating new protected lands primarily in far northern, subarctic, or higher elevation ecosystems. Without serious provincial buy-in with plans on how to get there, the 17% target won’t be achieved. The momentum built to achieve the 17% target will also boost post-2020 protection proposals, including more ambitious targets and ultimately, a national “Endangered Ecosystems Act”, with corresponding legislation in provinces. These proposals must be based on the latest conservation biology science and traditional ecological knowledge. Indigenous movements to create Indigenous Protected and Conserved Areas (IPCA’s), such as Tribal Parks in British Columbia, have been growing in recent years, forming a Canada-wide movement that represents a powerful and vital force to break through the inertia and intransigence of various levels of government to expand protected areas. - Serving as a potent “outside organizing arm” of the conservation movement focused largely on generating large-scale public awareness and mobilizations to pressure the federal and provincial governments to protect endangered ecosystems, in coordination with environmental groups working on the inside of government to lobby and inform politicians. We will extensively use the news media and the increasingly powerful social media to build momentum for the 17% target and beyond. - Work with the legions of nature photographers and videographers to vastly increase public awareness about Canada’s diverse ecosystems via social media, and to link these photos and videos to the campaigns to save them. - Ally with First Nations advocates of Indigenous Protected and Conserved Areas to help protect areas of concern for Indigenous peoples and to help push through the gridlock of some governments on expanding ecosystem protection. - Working to foster “non-traditional allies”, including businesses, unions, faith groups, scientists and academics, outdoor recreation clubs, and diverse cultural groups, in order to vastly expand the scope and strength of the ecosystem protection movement beyond its current environmental activist base. - Provide local conservationists and small conservation groups with tools, including online resources, advice, guidance, and workshops, to more effectively campaign to protect natural areas in their provinces. - Work with conservation groups and ecologists across the country to develop and promote science-based ecosystem protection proposals.